3.Initiate a recharge of 10 or more. 5.You will get 30 Cashback within 24 hours. 1.Offer not valid for airel users. 2.Offer valid once per new user/DC/CC. 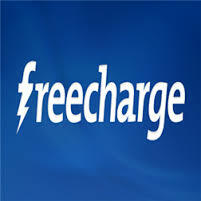 3.Cashback is Fixed Rs 30 on recharge of 10 or More. 4.Offer valid on transaction done with debit card or credit card. 5.Cashback to offered in the form of EGV which can be redeemed in next 6 months from date of credit.